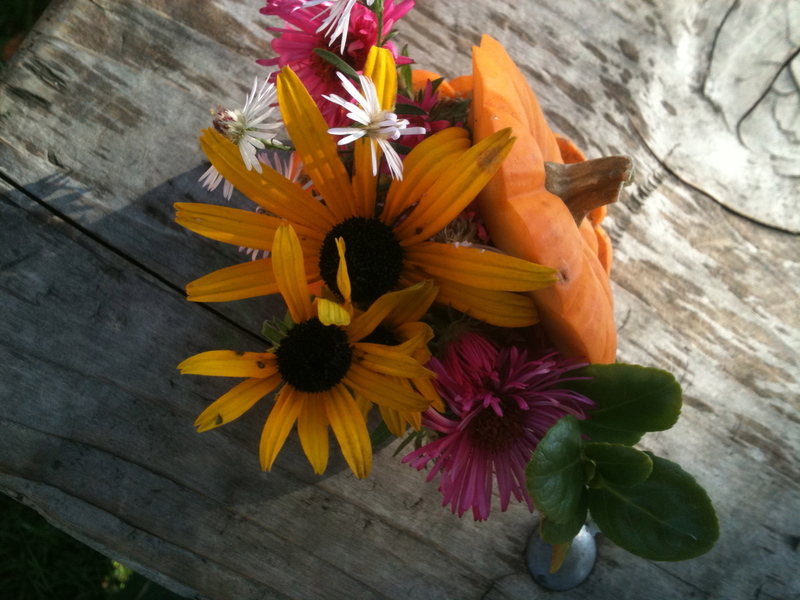 We had a lot of fun on Sunday making little flower arrangements for the Thanksgiving table. It’s such a simple project with such great results. I think the parents were very pleased with the outcome. 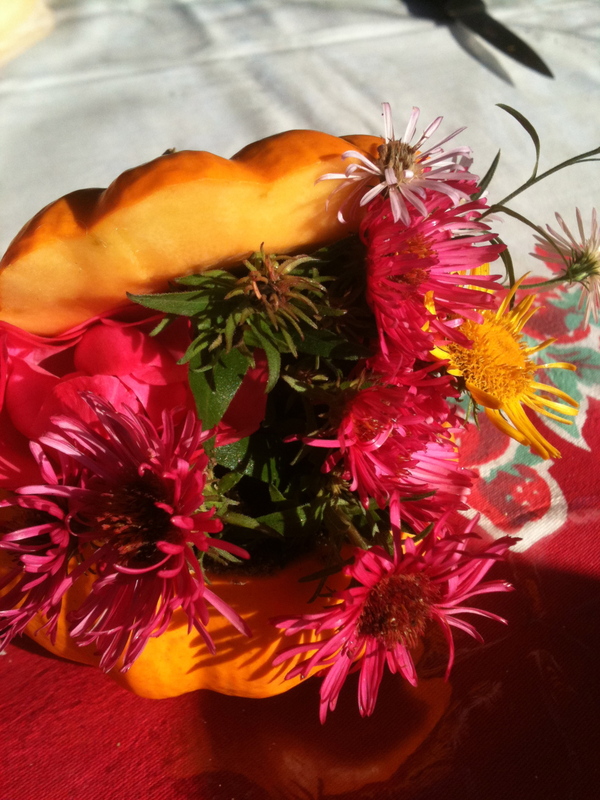 We cut the tops off of little pumpkins (supplied by Highmark Farms – thanks friends!). 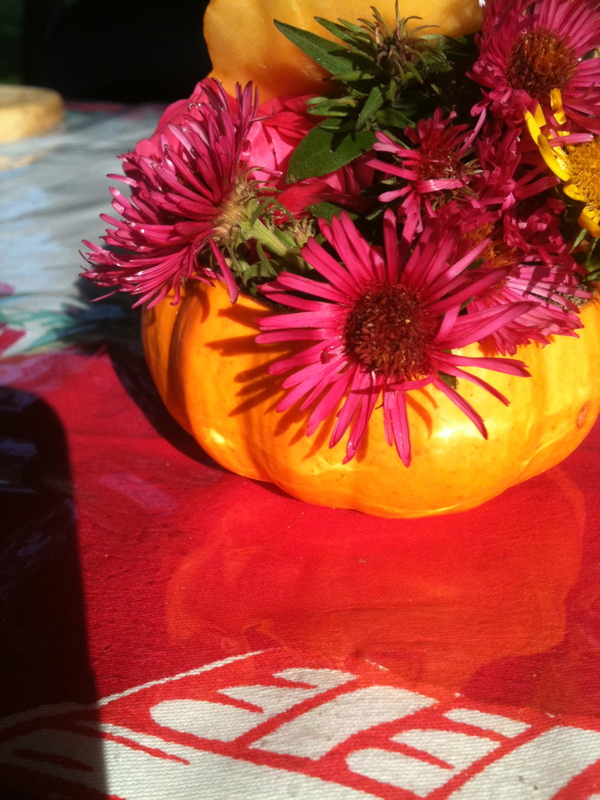 Next came the fun part – loosening the pumpkin guts, allowing kids to fling them onto the grass. As we explained, the guts are ‘good’ garbage so we’re allowed to throw them on the ground because they will biodegrade. The hollowed out pumpkins were then filled with moist sand. 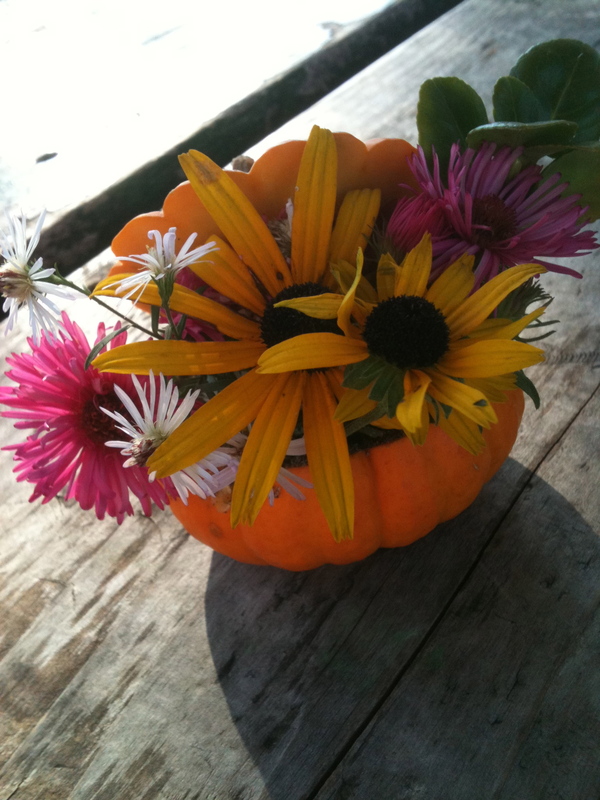 An assortment of wild flowers were stuck in the sand and the pumpkin top was added to create a backdrop. We had some amazing arrangements. Kids are so naturally artistic! 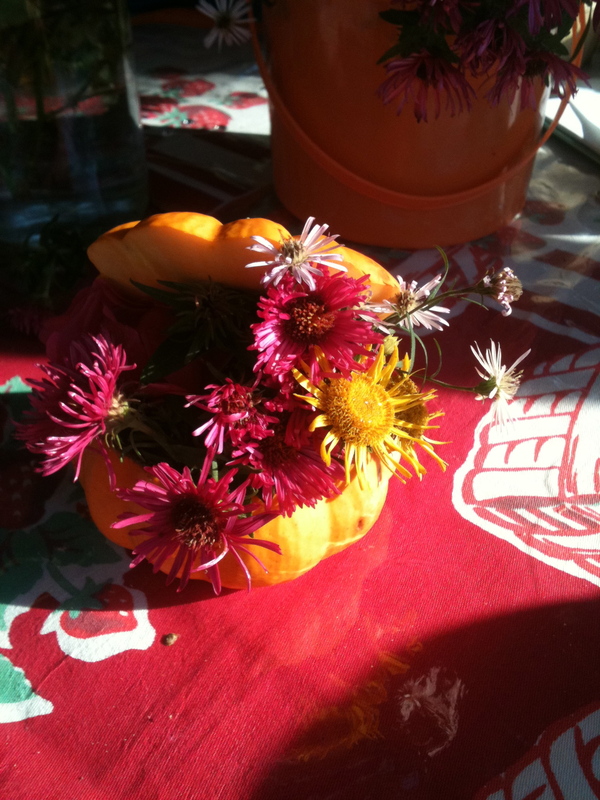 And I think some future flower arrangers were born!